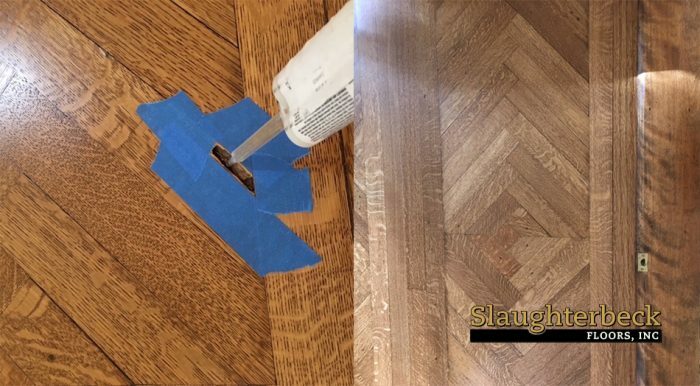 Repair Hole in Damaged Hardwood Floor | Slaughterbeck Floors, Inc.
Termites may be important for the ecosystem, but no homeowner would ever be happy finding these insects crawling around their home. These creatures are capable of causing great destruction to homes and, of course, their favorite hardwood floors. Repairs of these damages can be quite costly. Fortunately, some termite damage to hardwood floors can be salvaged without replacing the hardwood. 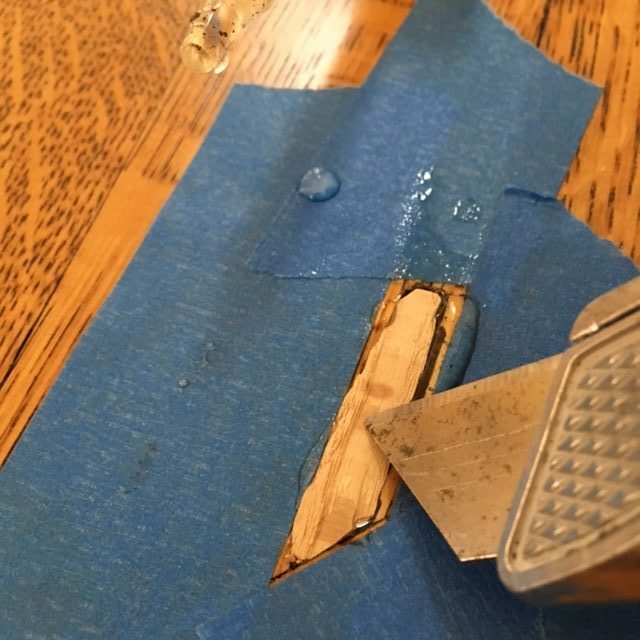 Check out how we repaired this termite damage in hardwood floor without removing and replacing the whole board! Step 1: Isolate the hole in the hardwood floor. 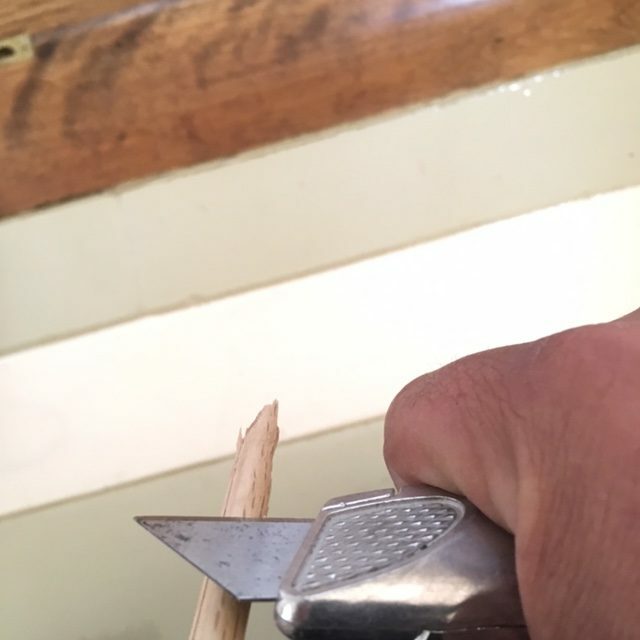 Step 2: Shape the filler piece of wood to fill the hole. Step 3: Install the filler wood piece and wait for the epoxy to dry. 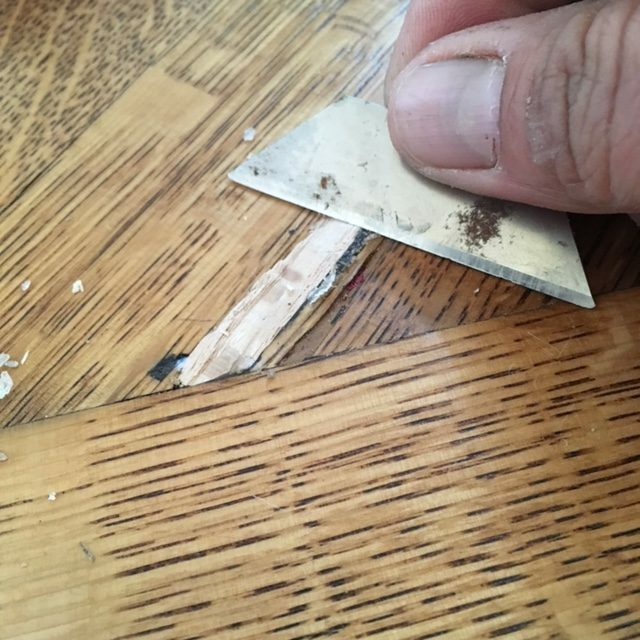 Step 4: Shave the filler wood to be leveled with the hardwood floor. Step 5: Add stain and grain marks to the filler wood piece. Step 6: Wait for the wood stain to dry. Finished! Where did the termite damaged hole in the hardwood go? Looking for a San Jose hardwood flooring store or hardwood floor refinishing? At our Campbell showroom, we carry 800+ samples of floor coverings.